WEST COLUMBIA, S.C. -- Airport High School’s Student Council won several awards during the recent 87th Annual Southern Association of Student Councils Conference (SASC). 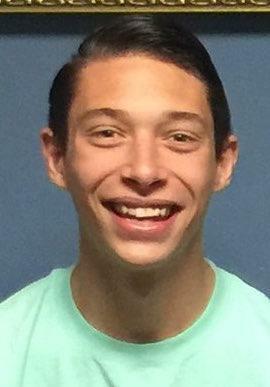 Trace Wingard, current student body president, was awarded the SASC Member of the Year, recognized for his leadership at Airport High and in the community. Airport also received awards in project competition, including a second place for Reading Buddies in the mentoring outreach program and a third place for the Holiday Blitz drive in the school service/spirit category. Airport students also hosted four workshops on leadership. 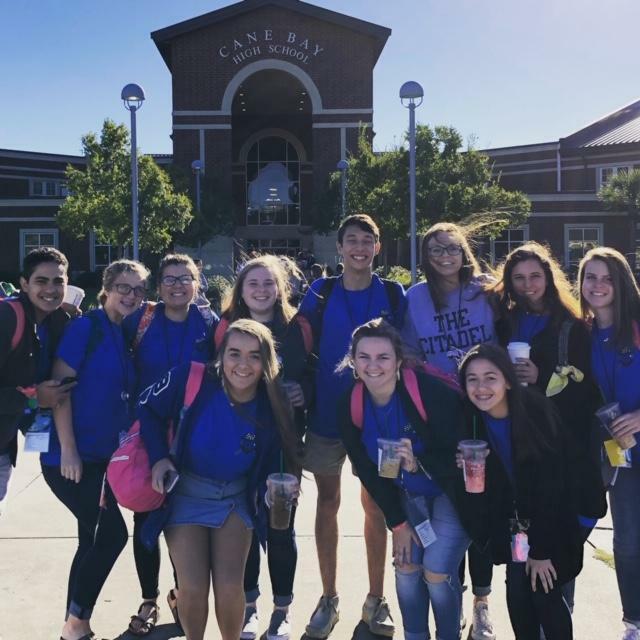 In addition to Wingard, Airport students who attended the conference, held Oct. 19-21 at Cane Bay High School in Summerville, were Cayleen Hall, Kallie Richbourg, Madison O'Quinn, Amaya Epperson, Sydney Coleman, Kaylin Liscusky, Joshua Parga, Emma Chandler, Katie Kyzer and Geena Rocanella. 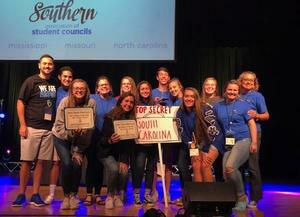 Established in 1932, the Southern Association of Student Councils is an association of 15 Southeastern states that provides high school and middle level student leaders with opportunities for networking, building leadership skills, sharing ideas, participating in service projects, and getting motivated to make a difference in their schools, communities, and in their own lives. Their adult advisors enjoy the same benefits — plus the sharing of leadership curricula and strategies for supporting their students in becoming better leaders.